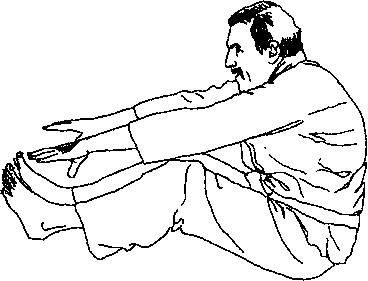 When doing a tenkan, nage commonly slides forward with the same-side (forward) foot, then turns. With anything less than a cooperative uke, there is the possibility of collision. Enter and turn ISO degrees (as for any tenkan). The momentary balancing on one foot makes nage, like the balloon, sensitive to the slightest force or energy from uke^. Nage naturally goes around and collision is avoided. Starting and ending attacks, techniques, and rolls on one foot develops balance, timing, and a greater awareness of the energy involved. (It also protects against the dreaded "Hakama Toe," toes tangled in the folds of the skirt worn by advanced students.) See also "Rag-Doll Tenkan" on page 132. Much of the confusion over the morality of "pacifism" versus "violence" is a faulty understanding of Good and Evil. It begins with the mispercep-tion that Good is inactive and dull, while Evil is active and interesting. "Turn the other cheek," said Jesus, in a call for restraint and patience. It is a challenge to be more than an automatic stimulus-response machine programmed to explode into rage or revenge at any perceived affront. This exercise in pacifism ("peacefulness") and self-control has been misunderstood by many to mean an exercise in passivism and masochism. But when Good is limited to passive stonewalling in the face of active, aggressive Evil, the exercise becomes: "Can I continue turning the other cheek long enough that he wears out his arm hitting me, gets bored, and goes away?" This protects neither the attacked, the attacker, nor the overall situation.
" 'Turn the other cheek' is Aiki," said Ueshiba. 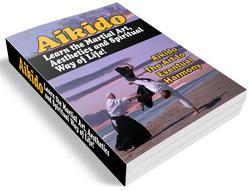 "But in Aikido, we would turn before the blow. Thus the attacked is savedfrom pain and the attacker is saved from sin." 1. The flip side of this Is the point of kuzushior "unbalancing" resulting in a throw.